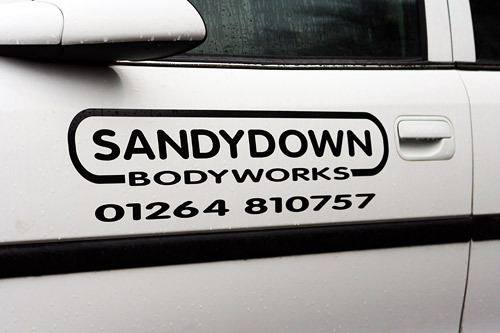 Keylink offer all vehicle body work repairs via our sister company Sandydown Bodyworks. 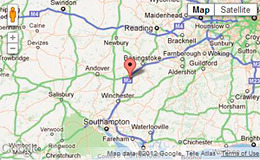 Your local Body shop for the Winchester Andover Stockbridge and surrounding areas for over 4 decades. Keylinks sister company Sandydown Bodyworks was established in 1975 and is recognized by clients and industry for its high quality workmanship, experience, and keen pricing. The extensive 8,000 square feet Sandydown premises house up to the minute equipment that is operated by an experienced, highly skilled, and dedicated workforce of 15 full time staff, several of whom have been with Sandydown for in excess of 20 years. 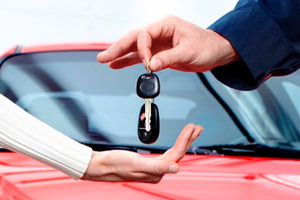 Sandydown is used by Insurance Companies, private and corporate clients and the motor trade for quality repairs on cars, commercial vehicles, motorcycles, and restoration work. Subject to availability, a fleet of courtesy cars and vans are available for customer’s convenience. High-class restorations of classic cars of most makes of vehicle are our specialty. We cater towards the most exacting clients who can rely upon us to produce the sort of repair or restoration that pass the test of time and the closest of scrutiny – all within an affordable pricing structure. Reasons to chose Sandydown Bodyworks. Speedy and effective repair to the bodywork of your vehicle. Private, commercial or trade customers. Courtesy Cars and Vans whilst your vehicle is out of action. Two low bake ovens to ensure original manufactures standards of finish. Paint from Akzo Nobel and ICI and all major paint suppliers. Spanesi body jig to ensure perfect alignment of body/chassis. Vehicle Valating and Steam Cleaning. Professional car detailing and concours preparation of bodywork. Premuium polishes used such as Swissvax and Zymol polishes. Recharge and repair your Air Conditioning. Wheel refurbishments and wheel alignment. Coach lines and decals fitted. Specialist vehicle inspections offered prior to purchase. Classic and historic vehicles Restored and repaired. National transportation and delivery of classic cars.